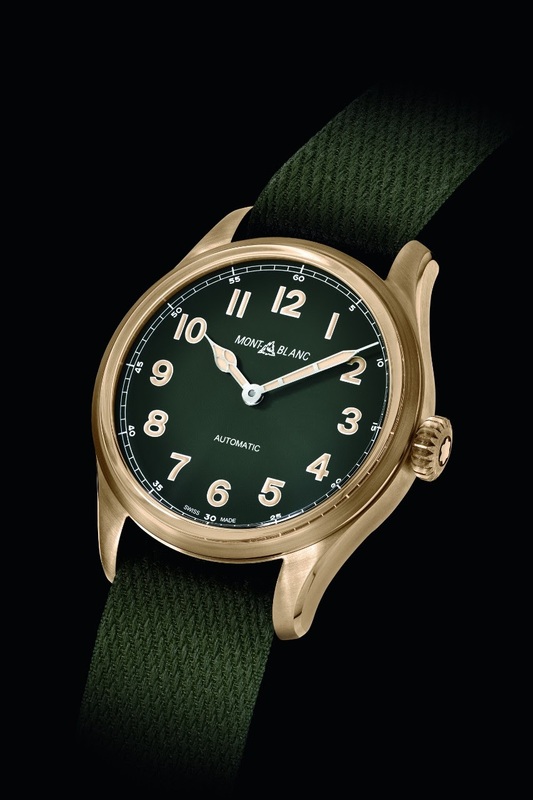 Montblanc - SIHH 2019: Montblanc 1858 Automatic Bronze LE of 1858 pieces. The cool daily beater, which has character. 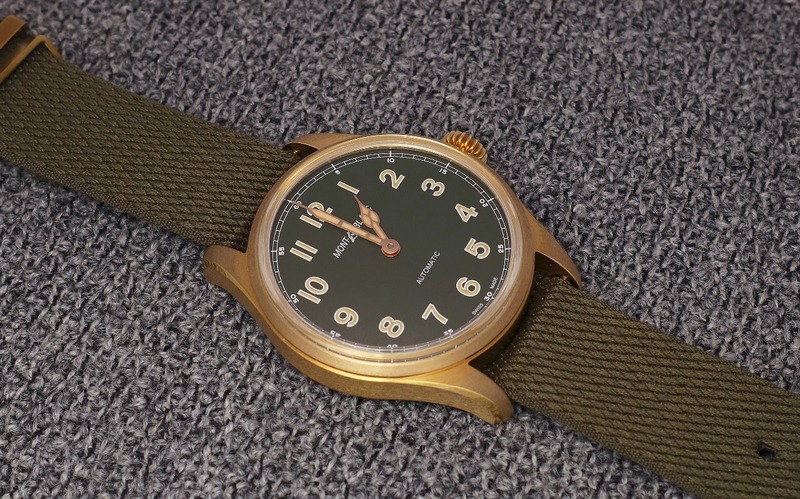 That's what Montlbanc certainly had in mind when releasing this version of the 1858 Automatic. Just the strictly useful, here, with no date nor seconds. Hours, Minutes and basta cosi, as our Italian friends use to say. The movement is automatic, the Cal MB 24.15, beating at 28, 800 vibrations per hour, and offering a power reserve of 38 hours. The case is made in an alloy of aluminium and bronze, and has some very nice beveled lugs. You can be a beater and have an elegant case! It is 40 mm big, and 11, 07 mm high. The back has an engraving, the Spirit of Mountain ", which I didn't have the time to take in picture. 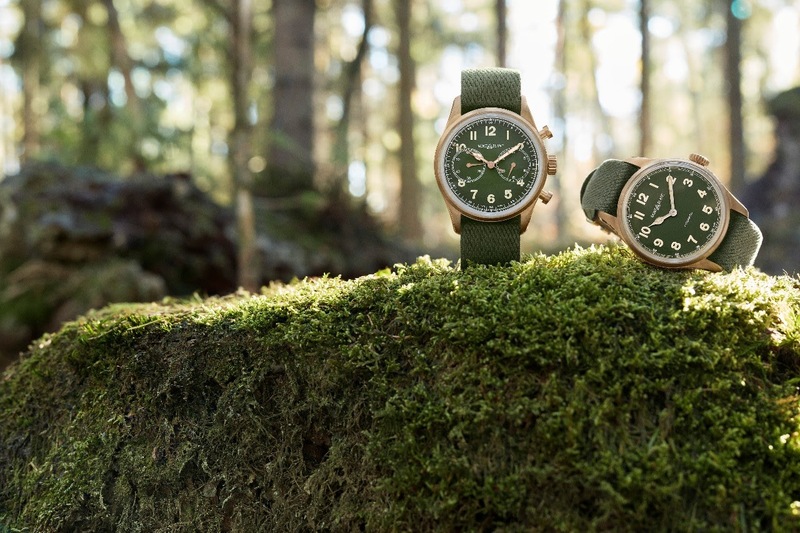 The dial is khaki green, very cool looking, with vanilia colored indices and Cathedral hands for the retro look. And cherry on the cake, a cool " Nato Style ", a very good band. 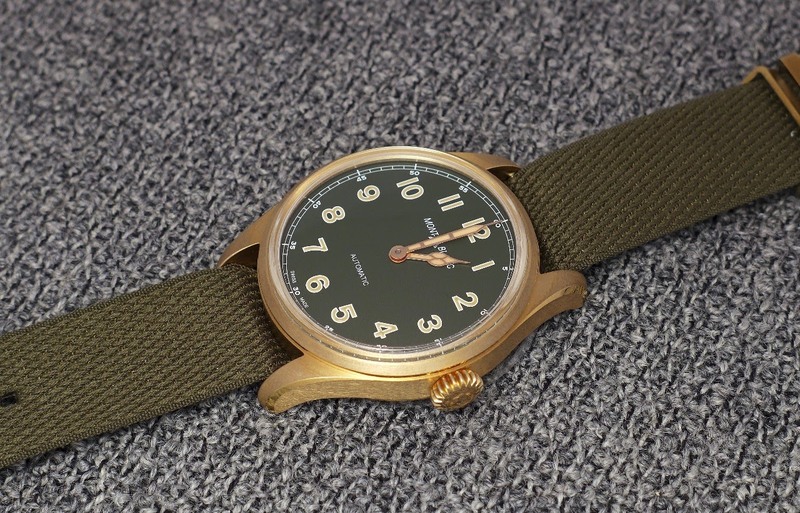 A nice watch, but Montblanc should not abuse of these bronze cases, in my opinion. It starts to be too much.